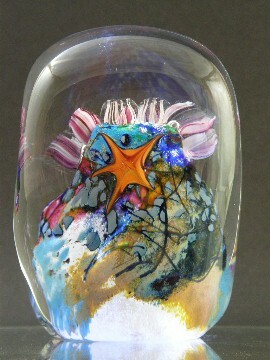 I make the small sea orchids with colored glass encased in clear glass and stretched while hot. I then cool the rods and cut them. I lay them out and attach them to the inside surface as I sculpt the coral reef. 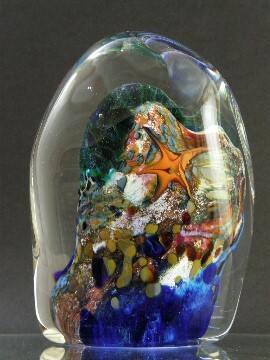 Using a torch I manipulate a drop of colored glass into a star fish. 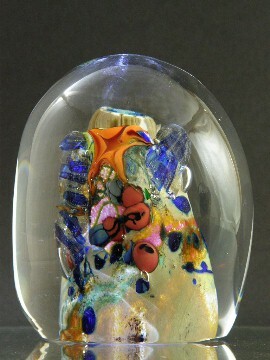 This finishes the interior which becomes encased in molten glass. 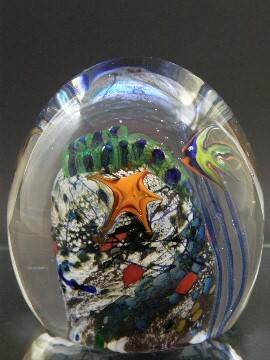 Unless, I add a fish or sea weed to successive layers.